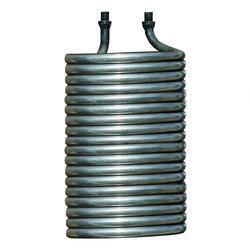 We are a leading Manufacturer of boiler coil from Gurgaon, India. The Boiler Coil we produce is one of the best available in the market. The production of these involves the use of high-quality raw materials and a number of quality checks in order to provide optimum satisfaction to our customers. The Oil Burner Coil we manufacture is available in different weights and sizes depending on the requirement of the client. These coils are manufactured in accordance with the norms of the industry. These products are highly reliable and require no maintenance and have a long life.